We’re entering a new market with larger, more established competitors. How do we position ourselves to keep company with them and gain market share? 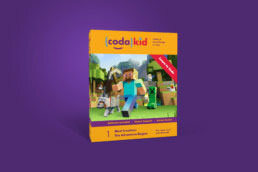 CodaKid came to phD in need of a new brand strategy and re-positioning to help the company compete in an increasingly crowded service market: coding and game design camps and classes for kids. 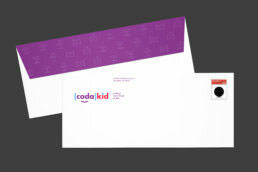 CodaKid had some concerns regarding the company’s strategy and positioning as they eyed regional and national growth. Since phD had worked with CodaKid’s founders on two other startups, they called on us to rebrand the company and help chart a course for new growth. 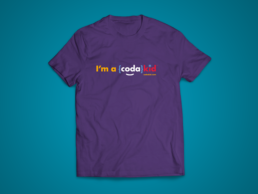 Based in Scottsdale, Arizona, CodaKid offers children the skills and tools to pursue coding as both a hobby and a viable career path. The company had done a good job of getting up and running and quickly established themselves as a trusted local source for their services. However, their existing brand strategy and identity wasn’t resonating with their target audiences. 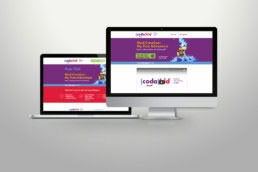 The rebrand had to convey a high level of professionalism and credibility, while being friendly, approachable and appealing to 5–15 year olds and their parents. 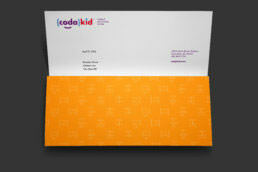 Throughout the design process, phD sought to infuse the new brand with a friendly, approachable and fun tone. The final logo design pairs geometric letterforms with common coding characters to help identify the company and its services at a glance. 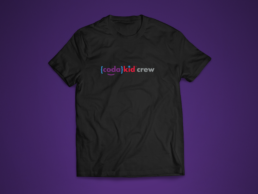 We’ve applied the brand to packaging, wearables, signage and continue to work with CodaKid on their online presence as they develop and launch new coding camps and classes for kids. 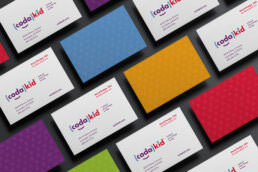 The new brand has been well-received and positions CodaKid for growth in the coming years. Ready to reposition your brand?